You deserve a good night’s sleep. After all, better sleep means better days. Fortunately, no matter where you are, you can enjoy complete blackout (and sleep) with a quality eye mask. What is an eye mask? An eye mask is a sleep mask that blocks incoming light for better rest. It can help induce a state of pure darkness so you can more easily relax and fall asleep anywhere, anytime. It can also be used for meditation and yoga relaxation. 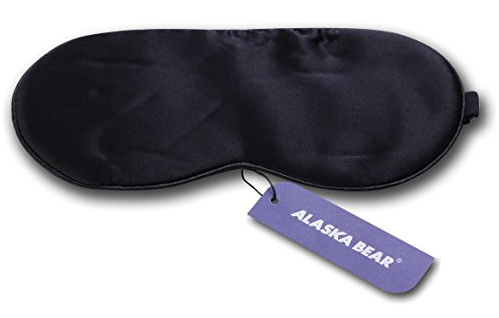 Amazon’s #1 best-seller in sleep masks, the ALASKA BEAR Natural Silk Sleep Mask is made of super-soft 100% 19 momme natural mulberry pure silk on both sides, so it feels smooth against the skin. The natural fibers of hypoallergenic silk allow oxygen in while keeping dry air out for breathable, cool relaxation. This makes it great for those who suffer from insomnia, migraines, dry eyes, or sensitive skin. The silky smooth eye mask features adjustable straps to ensure the mask won’t tangle hair or slip while you sleep. This also fits comfortably with ear plugs and with a CPAP facial mask. It is Amazon’s Choice for eye masks and has over 5,000 five-star reviews on Amazon. It is also backed by a 90-day satisfaction guarantee. The Bedtime Bliss Contoured and Comfortable Sleep Mask is perfect for anyone who doesn’t like pressure applied to their eyes. 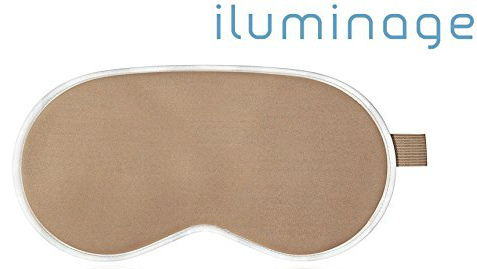 It blocks out light without pressing on your eyes, so you can open your eyes under the mask and still relax in darkness. This enables REM sleep and won’t smudge makeup. The contoured mask has a nose ridge and adjustable Velcro straps, so it can optimally fit your face. It is soft, comfortable, lightweight, and durable. It can be used by adults and children and also works well with a CPAP facial mask. This also includes free earplugs, a carry pouch, and a free eBook. It is an Amazon best-seller and has more than 5,000 five-star reviews on Amazon. It is also backed by a satisfaction guarantee. The Sleep Master Sleep Mask is ideal for anyone who needs to completely block out the light and sound around them. This can virtually shut off the world while you sleep. 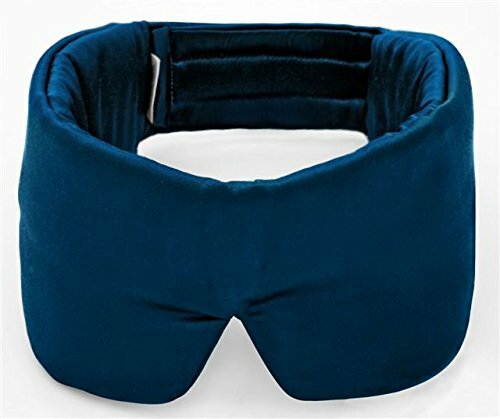 The fully adjustable, lightweight, soft, breathable cool satin sleep mask comfortably surrounds your head and covers your ears to quickly create a relaxing effect. By simultaneously blocking light and muffling sound, it can help induce a deep, refreshing sleep. While the padded ear area already reduces sound, you can also wear ear plugs underneath for total sound elimination. It is wide enough to comfortably fit your head and connects in the back with Velcro strips. It is hypoallergenic, latex-free, hand-washable, and also works well with a CPAP facial mask. Sleep Master claims that it’s also more hygienic and longer-lasting than other masks on the market. The mask comes with a set of earplugs, which reviewers seem to love. Reviewers did notice that the mask can stain pillowcases if you don’t wash it before use. It is an Amazon best-seller and has outstanding online reviews. 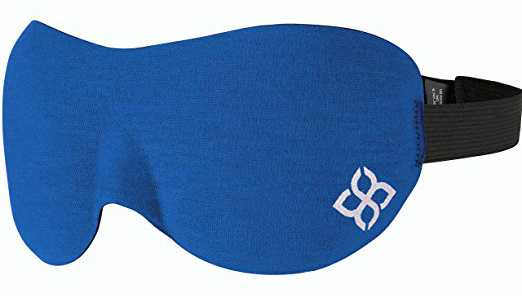 The Nidra Deep Rest Eye Mask is perfect for anyone who doesn’t like pressure applied to their eyes. The comfortable, lightweight patented mask completely blocks out light and visual stimuli without pressing on your eyes, so you can open your eyes under the mask and still relax in darkness. This enables REM sleep and won’t smudge makeup. The contoured mask is specially designed with advanced ergonomics and deeply molded cups that curve away from the eyes for optimal comfort. This is an Amazon best-seller and has over 2,000 five-star reviews on Amazon. It is also backed by a 30-day hassle-free money-back guarantee. The iluminage Skin Rejuvenating Eye Mask may be a bit pricier than the other options on the list, but it offers long-term benefits that make it worth the higher price tag. The eye mask is clinically proven to reduce the signs of aging (like fine lines and wrinkles) thanks to copper oxide embedded fibers and intelligent textiles. The patented copper technology can aid the skin’s natural renewal process by promoting the natural growth of proteins. The copper ions are absorbed into the skin on contact, improving skin’s appearance and texture. It can produce smoother, younger-looking skin in as little as four weeks, with a continuing effect over time. The soft, nonirritating, rejuvenating mask has a cushioned texture, adjustable Velcro strap, and blackout capabilities. It can be worn nightly and the anti-aging technology is proven to last through more than 100 washes. Some reviewers also found that the mask can decrease eye puffiness with continued use. This is frequently recommended online by sites like Travel + Leisure. And those are our recommendations for the best eye masks. As always, be sure to check Wise Bread's Buying Calendar to learn when and how to buy just about anything!